THINKING OF ADOPTING A RABBIT? READ ON. Learn about rabbit care and behavior by visiting one of many available information sites like www.rabbit.org, www.mybunny.org, www.sandiegohrs.org and/or by downloading our Rabbit Information Packet. Please take a moment to familiarize yourself with our Adoption Policies to determine if you are willing to participate in each potential screening requirement. You may get additional information and ask specific questions about any of our rabbits by filling out and submitting the online information request form, using the button on the bottom of each rabbit’s individual page. Before coming to an adoption event you are required to complete and submit our Online Adoption Questionnaire. The adoption process starts with the questionnaire and we will not adopt a rabbit to you without a questionnaire and completion of our multiple level screenings. An adoption counselor will contact you after you submit a questionnaire and will conduct a pre-adoption screening interview and possibly refer you to other counselors for further evaluation. Please note a home visit may be required prior to BHRR considering any adoption to your family. Home visits can be required at an adoption counselor’s discretion for any reason. If approved for adoption, you will be provided the upcoming dates and location for the adoption events and you will need to confirm via phone at 480.443.3990 at least 48 hours prior to the event what day and time you plan to attend. You must be at least 18 years of age to sign a Brambley Hedge Rabbit Rescue Adoption Contract. Adoptions will only be done in-person at one of our Adoption Events in the Phoenix metropolitan area. Our rabbits are adopted to properly screened individuals/families on a first-come, first-served basis. We will NEVER ship any rabbit anywhere at any time. We do not adopt out-of-state. PLEASE NOTE: Brambley Hedge Rabbit Rescue reserves the right to refuse any adoption at any time at our discretion. It is the policy of Brambley Hedge Rabbit Rescue not to do “same-day” or “walk-in” adoptions. It is critically important that all potential adopters meet with our adoption counselors and go through the screening process to ensure that you are aware of all facets of domestic rabbit ownership and that adopting a rabbit is the right thing to do for you and your family members. Remember that rabbits require access to fresh cut timothy hay 24/7 and many people are unaware that they are allergic to a rabbit’s nutritional requirements. Unfortunately this usually means the rabbit will be returned because you or your children exhibit severe allergic reactions by the allergens rabbits bring into the home. If you are considering applying to adopt of one of our rabbits you are welcome to come to an adoption event to meet some rabbits, gauge your potential for allergies (a rabbit’s diet must consist of 95% fresh cut timothy hay) and talk to our adoption counselors. 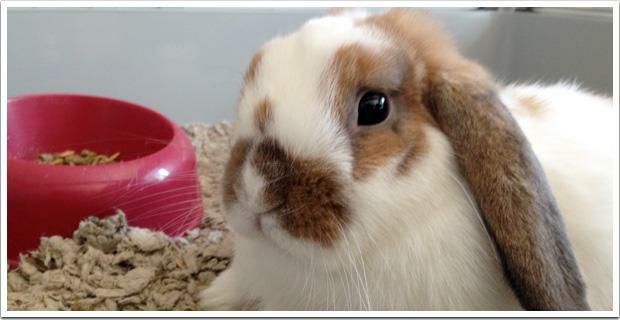 However, PLEASE NOTE WE WILL NOT ADOPT ANY RABBIT TO ANYONE WHO HAS NOT COMPLETED THE ADOPTION PROCESS IN ITS ENTIRETY.